Has the U.S. housing market hit bottom? Is there further to go? Has a recovery started? These are the questions every homeowner and real estate investor are asking themselves, or at least, should be. National home price data indicates that the worst of the home price meltdown is behind us. Clear Capital, a Truckee, Calif.-based real estate research firm, reports that 2011 saw a national decrease of 2.1% in home prices when compared to 2010. While still a loss, it’s a minor drop compared to the double-digit plunges experienced years before. 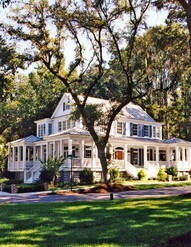 For 2012, the firm’s Home Data Index (HDI) Market Report forecasts a tiny 0.2% gain across all markets. If you are a prospective home buyer or seller wondering if now is the time to make a play, the decision should come down to something much more tangible than a “flat” national market number. It should come down to location. Nashville, in general, didn’t get hit as hard as some other cities but there are still pockets of foreclosures. Overall, the market is showing a robust beginning to 2012 in WIlliamson County and much of Davidson County with lots of buyer activity and offers being accepted. So it is a little surprising that Clear Capital’s researchers say the price of the average home in Nashville will lose 3.8 percent of its value in the coming 12 months, adding to a drop of 4.8 percent last year. Well, hold on. Perhaps not. There are qualified buyers actively pursuing a home purchase and there are sellers who have realized a realistic market value of their house in this competitive environment where the cleanest, best curb-appeal, staged and priced to the market home gets snatched up and the others wait around gradually reducing price, slowly painting the mauve family room and cleaning the carpets. And then there are the pockets. Areas that got hit harder by foreclosures than others that can skew these statistics. Spring Hill, which is included in metro Nashville stats, got clobbered when the Saturn plant closed in November 2009, workers laid off and ultimate foreclosures. Two years later the plant announced its reopening and hiring new workers. Metro city government has proposed to purchase land and finish streets in 10 neighborhoods in Nashville where the developer became financially insolvent and abandoned work in progress http://tnne.ws/wvCG6S. It shows a proactive concern for the homeowners and community which ultimately helps address the depressed home values. Only the buyer and seller determine what the home is ultimately worth. This may be an interesting negotiation year. This entry was posted in Nashville Real Estate and tagged Nashville homes, Nashville real estate, real estate. Bookmark the permalink.